Bibi Netanyahu defied the odds and just won his 5th term as Israel’s Prime Minister to become the longest-serving prime minister in Israel’s history, longer than even founding father David Ben-Gurion. 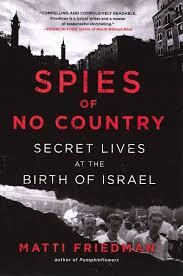 This week on The Halli Casser-Jayne Show an important conversation with one of Israel’s most notable writers and commentators, the author of an important new book SPIES OF NO COUNTRY, SECRET LIVES AT THE BIRTH OF ISRAEL the podcast posted at Halli Casser-Jayne dot com. “Compelling, compulsively readable, an arresting account of espionage at the genesis of the Israeli state,” are just some of the accolades given journalist and award-winning author, New York Times Op-Ed contributor, and former AP correspondent Matti Freidman for his new book SPIES OF NO COUNTRY, SECRET LIVES AT THE BIRTH OF ISRAEL, which examines the founding of Israel and the forging of Israeli identity through a little-known, real-life espionage story. Already the recipient of the Natan Book Award at the Jewish Book Council, SPIES OF NO COUNTRY chronicles the exploits of a ragtag unit of Arabic-speaking Jewish spies, assembled by the British during World War II, who would go undercover in the battle for Israeli statehood. A longtime resident of Jerusalem himself, Friedman sets out to reframe the story of Israel as a Middle Eastern one, freed from Europe-centric clichés—to tell a new story about the state’s creation that reflects a more complicated story than the one Israel tells itself and the world. From the early days of Israel, to present day Israel, from the Palmach to the Mossad, from nothing to a thriving state in a fraught land, from David Ben-Gurion to Prime Minister Benjamin Netanyahu you won’t want to miss this free-wheeling conversation with Matti Friedman. 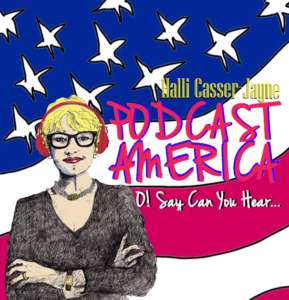 Israeli election, Prime Minister Benjamin Netanyahu, the Birth of Israel, the Mossad, Israel in the age of Donald Trump on The Halli Casser-Jayne Show the podcast posted at Halli Casser-Jayne dot com.